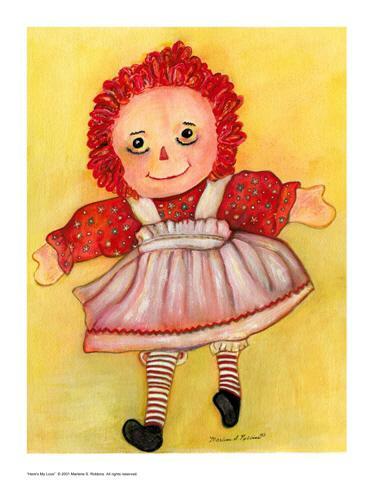 I grew up with Raggedy Ann and thank you for this colorful memory of my childhood. A fav - The gift of love....sincere love! I wish you a healthy, peaceful New Year, dear Marlene!! Glad you like this, Marsha. Thanks for commenting! I love your work, specialy how you handle the colors! This love just makes you feel so happy,love it ! She always has a smile on her face and has her arms out to hug you.